LUCY S. LEE is a partner at Akin Gump Strauss Hauer & Feld LLP in Washington, D.C. Ms. Lee focuses her practice on U.S. cross-border tax planning for individuals (including athletes and entertainers), closely held companies, private equities and hedge funds, family offices, private foundations, and trusts and estates. Ms. Lee advises clients in structuring and managing their funds, businesses and investments in bilateral and multilateral jurisdictions, including IPOs of closely held businesses. She advises on pre-immigration planning of high net worth individuals and executives and represents U.S. individuals in expatriations. She advises individuals and families with U.S Nexus in their succession planning, including use of domestic and foreign trusts. 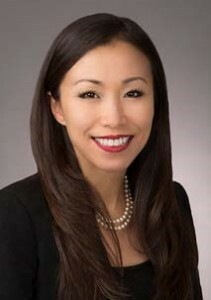 Ms. Lee also provides U.S. tax and compliance advice to foreign trusts and estates, and works with private foundations in developing tax efficient cross-border investment strategies and risk management programs. Ms. Lee is fluent in Korean. She received her LL.M. (Taxation) from the Georgetown University Law Center and her J.D. from the George Washington University Law School.